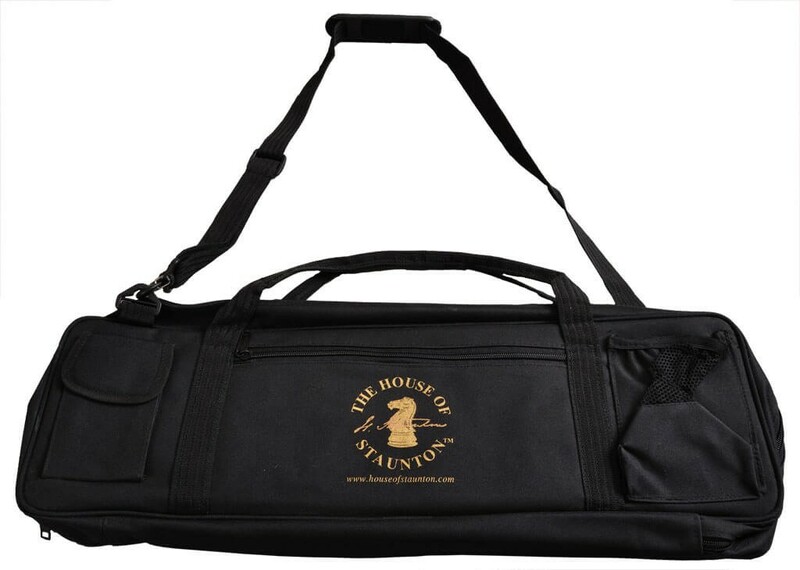 The Standard Chess Tournament Bag from the House of Staunton is designed to carry all of your tournament equipment, including roll-up chessboards, chess pieces, clock, pencils and scorebook. It measures 25" x 8" and has both a strap with shoulder support and two reinforced nylon handles for easy transport. 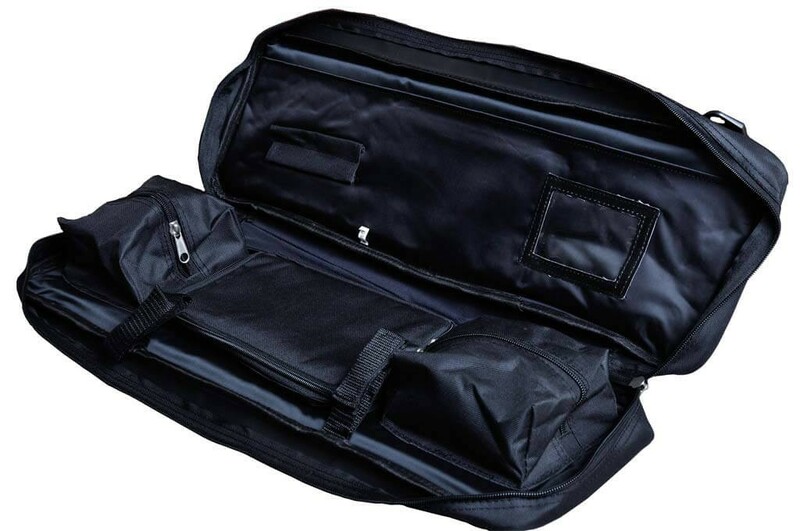 The outside of the bag features a cell phone pocket, mesh drink pocket and a zipper compartment. The bag comes with or without the House of Staunton Logo silkscreened on the front of the bag. Black only.